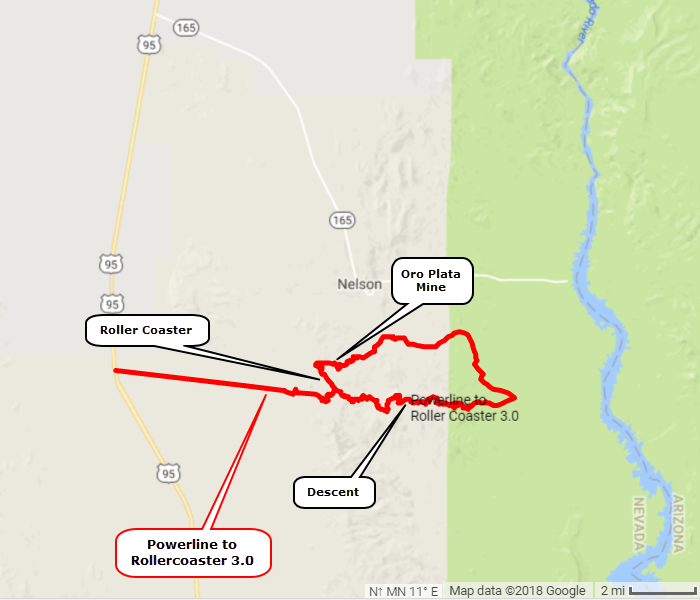 ​Over the Eldorado Mountain Range, down into the Colorado River Valley, then back over the Eldorados to the Oro Plata Mine and a roller coaster trail. This loop combines two distinctly different trails into a very enjoyable loop. 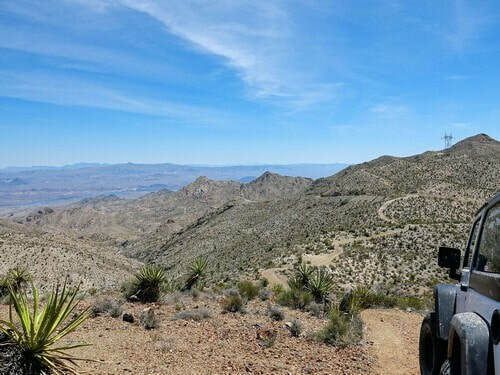 The first trail is a somewhat graded powerline road (rated 2.0) from Highway 95, over the Eldorado Mountains and down the east side to a spot in the Colorado River Valley near Lake Mohave. 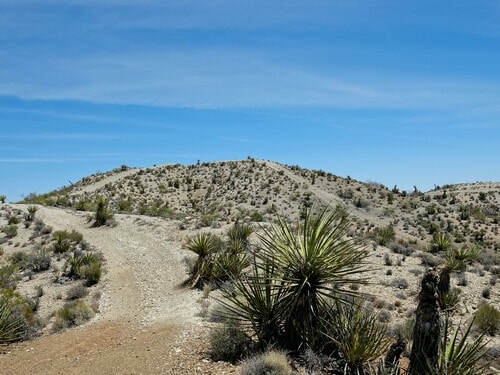 This run then follows a graded road that heads back into the mountains and turns into the second trail. 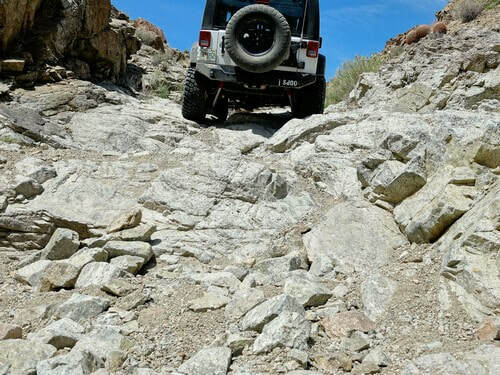 This second trail (rated 3.0) is an actual Jeep trail that completes the loop. 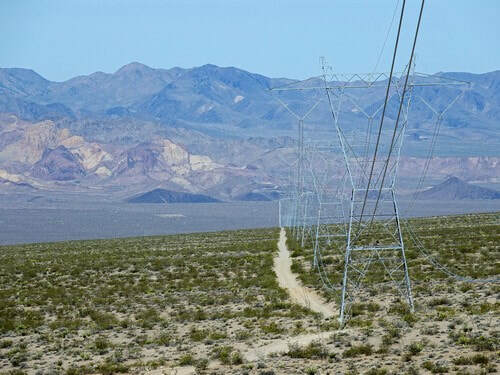 Begin on Highway 95 and follow a powerline into the Eldorado Mountains. 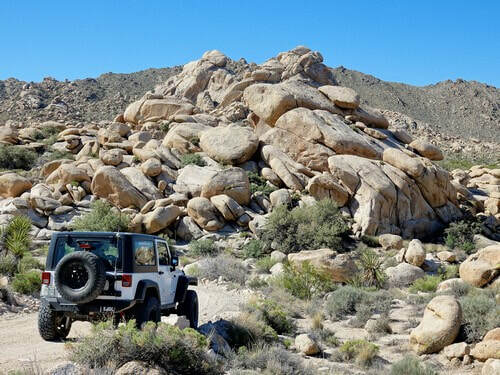 There are interesting boulder formations on this side of the mountains. 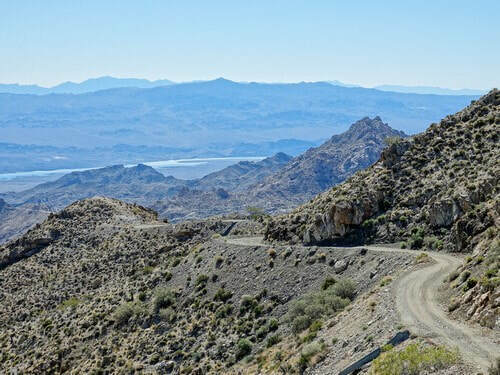 When you come to height of land (opening photo on this page) and look down at Lake Mohave you will know what the next 9 miles is like. 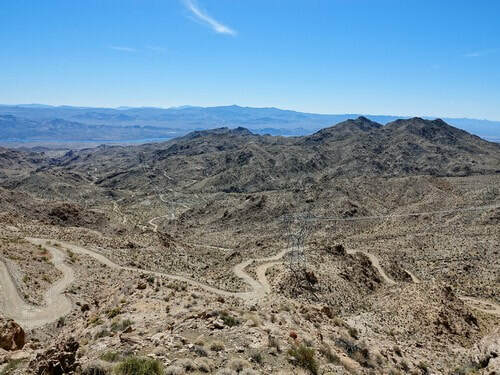 It is a beautiful, twisty, curvy road descending the east side of the Eldorado Mountains. 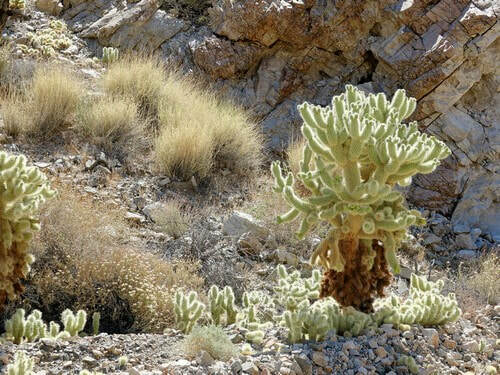 Teddy Bear Cholla, also called Jumping Cholla, does not have much for seeds so it propagates by dropping branches which sprout into new plants. We thought this was an extreme example of the process. 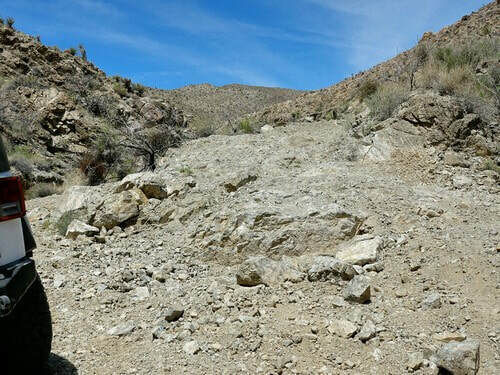 The second trail soon feeds into a narrow canyon with 2 significant obstacles that give the trail a 3.0 rating. 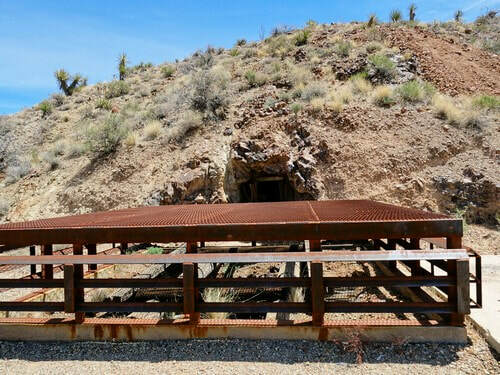 You will pass an ore chute coming down from the Oro Plata Mine. Turn left shortly after this to visit the mine. ​Shafts have been sealed off with bat friendly closures. One old structure is still in existence. 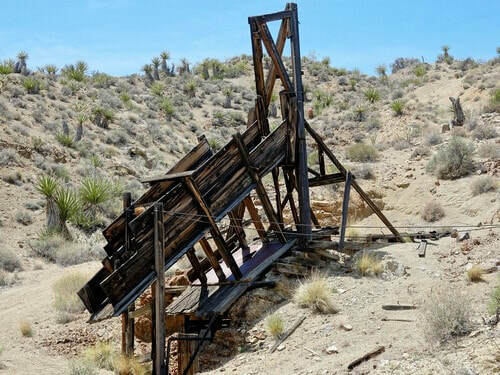 After leaving the Oro Plata Mine you will come to the workings of the Silver Legion Mine and begin a mile of roller coaster trail. Although this is not an extreme roller coaster, it is a lot of fun going up and down hills and around corners. End back at the height of land shown in the opening photo of this page. Turn right and head back for Highway 95.